Sparsh Ayurveda has experienced team of Ayurevda doctors including Panchkarma specialist, Nadi analysis specialist and Yoga specialist. Ayurveda has magic of curing almost all sort of chronic illness which are difficult to get cured by allopathy. Doctors at Sparsh Ayurveda are Dr Satish Agrawal (MD Ayurveda), Dr Pratibha Agrawal (B.A.M.S, MA -Yoga) and Dr Sushma Khandelwal (MD Ayurveda). 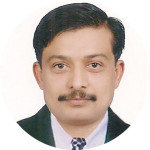 Dr Satish Agrawal is well known Ayurvedic physician in Indore and has been practicing Ayurveda for more than 15 years now. An expert in correctly diagnosing the disease and prescribing effective Ayurvedic medication of the same. Taught as professor in private Ayurvedic colleges. Author of book titled “Investigative Utility In Ayurvedic Practice” launched in Year-2013. Associated with various Ayurvedic societies and associations as visiting faculty. Worked as Principal Investigator in Himalaya Drug Company. Writer on various diseases and its curability through Ayurveda. Publications have been published in various newspapers and journals. Book titled “Investigative Utility In Ayurvedic Practice” launched in Year-2013. Publication of numerous health articles in Magazines and Newspapers. 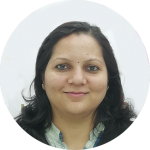 Dr Pratibha Agrawal is an Ayurvedic physician and Yoga expert in Indore. She has been practicing Ayurveda since last 10 years. Bachelor of Ayurvedic Medicine and Surgery (B.A.M.S). Expertise in treating gynec related diseases. She has been a trained Yoga teacher and conducting Yoga for masses since last 6 years. 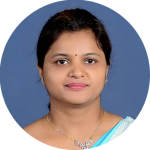 Dr Sushma Kahndelwal, is an Ayurveda physician and Nadi Analysis expert in Indore. She has been practicing Ayurveda from last 12 years. Bachelor of Ayurvedic Medicine and Surgery (B.A.M.S) – Gold Medalist. M.D (Ayurveda) in Ras Shastra. Senior Consultant & Nadi Visheshagya at Sri SriAyurved Panchakarma Centre. Working actively on Garbha Sanskara through Ayurveda (via lectures, workshops), Swarnaprahana ( Drug for Immuno-intellect booster among children).